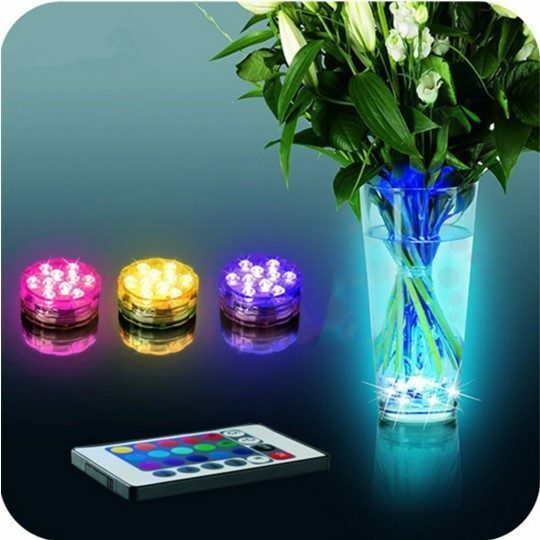 Remote Control Submersible Multicolor LED Lights Just $13.95! PLUS FREE Shipping! You are here: Home / Great Deals / Remote Control Submersible Multicolor LED Lights Just $13.95! PLUS FREE Shipping! I can think of 100 uses for these Remote Control Submersible Multicolor LED Lights! Right now you can get yours for just $13.95 PLUS FREE shipping! These can be used for a nice candlelight dinner, a party, or for fun everyday use! You can use them underwater and you can control the 16 colors with the provided remote!